When you set the 260 to auto record it does not switch on. the hdrs260 forgets some of the favourit programs thar you set .they completly dissappearfrom the receiver. All problems on this page have been submitted and answered by users. 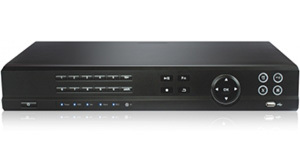 If you have a problem with the Labgear HDRS260 DVB-S2, please submit it below and we'll post it here. Problem: When you set the 260 to auto record it does not switch on. Problem: the hdrs260 forgets some of the favourit programs thar you set .they completly dissappearfrom the receiver.